Fingerprint readers and sensors have proofed to be one of the best and most secure form of biometric authentication on smartphones out many types of security authentication technology present on modern-day devices. Although nothing beats PINs and passwords, fingerprint scanning feels more natural and comes close in terms of security. Fingerprint authentication technology was properly introduced on smartphones by Apple a couple of years ago when the Cupertino-based tech giant launched the iPhone 5S. Afterwards, many other OEMs (as always) followed through with Apple’s innovation by placing the regular standalone fingerprint readers either on the rear or front of their smartphones. This continued for years until 2018 … when a particular Chinese smartphone manufacturer saw normal as boring and decided to take the fingerprint reader a notch higher. In January at the CES 2018 event that held in Nevada, United States, Chinese OEM Vivo unveiled the first smartphone to have its fingerprint sensor embedded in its display. Dubbed the Vivo X20 Plus UD, Vivo beat the likes of Apple and Samsung to the under-display (also called in-display) technology. But how does it work? That, you’d find out below. 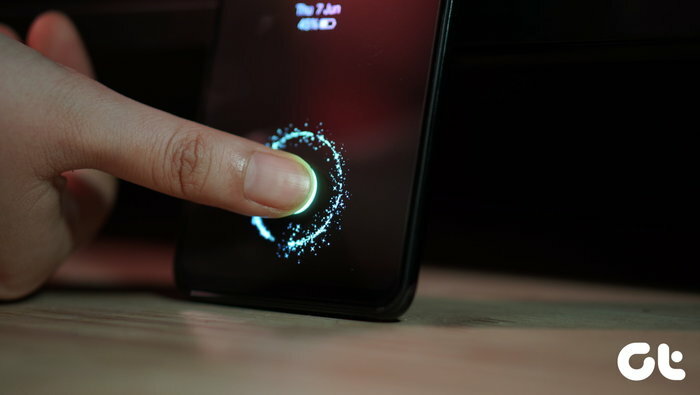 An in-display fingerprint is (literally) embedded under a smartphone’s display uses an optical fingerprint sensor (see other types of fingerprint sensors) to capture and identify users fingerprint information. This particular type of fingerprint sensor that works under that screen was pioneered by Synaptics, a California-based manufacturer of fingerprint biometrics technology for smartphones and also, touchpads for laptops. 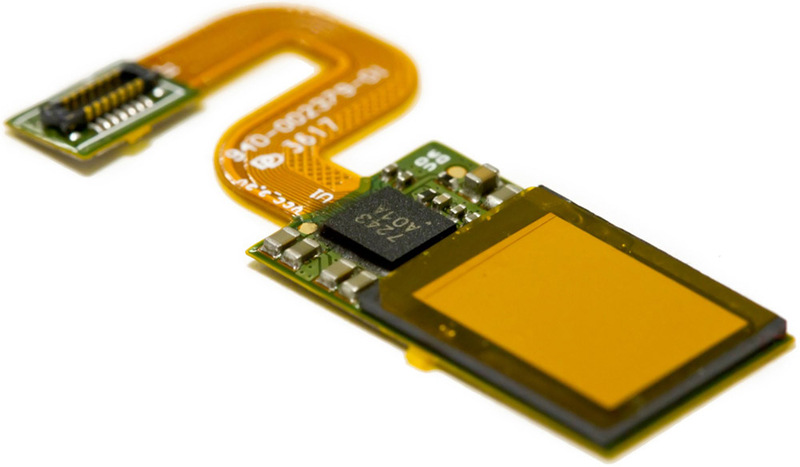 Synaptics developed the ‘Synaptics Clear ID sensor’ (named the Clear ID FS9500). The Clear ID is the first-ever optical in-display fingerprint sensor and mass produced it for Vivo to use on the Vivo X20 Plus UD. First off, in-display fingerprint sensors (Clear ID) are produced to work with OLED panels and not on any other smartphone display technologies. This explains why you’d find the in-display fingerprint sensor only on smartphones with OLED display. Literally, when you place your finger on the device, a light is shone on your finger, the sensor then proceeds to capture your fingerprint and the device is unlock. Technically, in-display fingerprint sensors work by using the light emitted from the gaps between the pixels of the OLED panel. When a hser places a finger on the sensor, this light illuminates the fingerprint and ultimately captures it. A (very) high resolution image of fingerprint is taken and an algorithm proceeds to detect unique patterns of your prints by thoroughly analyzing every part of the captured image. The algorithm analyzes the dark and light part of your finger, as well as ridges and valleys. To ensure effective capture of your fingerprint data by any in-display sensor, you have to exert a little bit of pressure on the screen so the sensor can accurately differentiate between ridges and valleys of each fingerprints. 1. In-display fingerprint sensors are thin: this makes them attractive as we are entering into an era where manufacturers are looking for the best possible ways to shrink down the thickness of phone sizes. Although many OEMs like Xiaomi and Huawei have now adopted the technology, we expect more manufacturers to get in line. 2. Easily accessible and Convenient: unlike rear-facing fingerprint sensors that takes some getting used to, in-display sensors are easy to reach and relatively convenient. 3. Functionality is independent of finger conditions: in-display fingerprint sensors will read your fingerprints accurately even if your fingers are wet, cold, or dry. Fingerprint capture with regular scanners under these conditions are difficult. 4. SentryPoint Security Suit: In-display sensors comes with industry’s highest level of secure fingerprint authentication. As innovative and interesting as the new in-display fingerprint scanning technology is, there are some downsides to it when compared to the regular on-body fingerprint sensor is. 1. Speed: although an in-display sensor unlocks in about half a second (averagely), it doesn’t compare to the unlock speed of regular fingerprint sensors. 2. Interference: applying any type of tempered glass may lead to delayed or inaccurate fingerprint capture. The sensor may also misbehave if the tampered glass is thicker than 1.5mm.